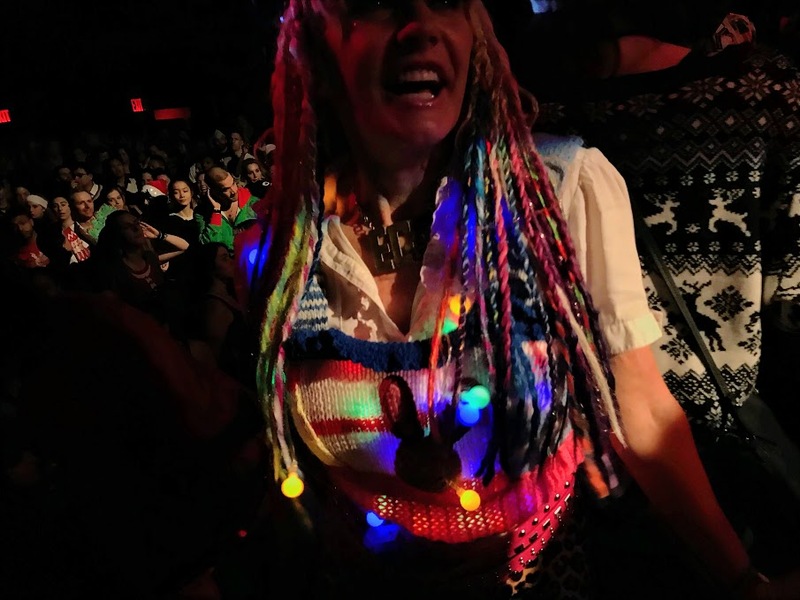 The early morning dance movement phenomenon Daybreaker rang in year 3 this month and we were ecstatic to celebrate in origin city, New York, for their Ugly Sweater (and Pants) 3rd Year Anniversary event. Video: DJ Vikas Sapra spinning at packed out venue, Irving Plaza, Union Square. Guest speaker Kevin Adler introduced us to Miracle Messages, an incredible organization that is actively reconnecting homeless individuals with friends and family members all over the United States through social media. Check out their website to learn more and view touching reunion videos. It was such a pleasure to take part in this special Daybreaker. If you’ve yet to try Daybreaker in your city, give it a shot and take back your morning. You won’t regret it. This new festival looks epic! Moar of Seven Lions’ epic sound design. This ep makes me feel like I’m on a journey across the crystal desert of a foreign planet, following the familiar sounds of analogue strings to an embassy oasis. we could quantum entangle and superimpose at 9 amazing festivals all at the same time during a total solar eclipse? This isn’t science fiction, people: We’re going to do it. Eclipse Gathering 2017 in Big Summit Prairie, Oregon combines some of the world’s most transformational festivals to create an epic experience during this coming total solar eclipse in August 2017. MENLO PARK, Calif. — Instead of just reading about the latest mind-bending experiments in neuroscience, David Byrne said he prefers, when possible, to participate in them. And he’s hoping others feel the same. For the exhibition “The Institute Presents: Neurosociety” at Pace Gallery’s Menlo Park branch, Mr. Byrne and his collaborator, Mala Gaonkar, have created room-size installations where visitors can undergo four cognitive experiments. Published as “Being Barbie” in 2011, the scale experiment comes from Henrik Ehrsson’s lab at the Karolinska Institute in Stockholm. It involves lying on a recliner, wearing goggles that show you a small doll’s limbs stretched in front of you in place instead of your own, and having your leg prodded or stroked simultaneously with the doll’s. This all helps to create an intense bodily association with the doll — so strong for many subjects that it changes their perception of the size of an object in view. Ms. Gaonkar, a London-based hedge fund manager with science and public-health interests, helped to arrange visits to several prominent research labs. They quietly used a building on Governors Island in New York a year ago to conduct (“workshop,” said Mr. Byrne) experiments before settling on these four to start. Timed tickets for the show, running Oct. 28 through March 31, will cost $45. Elizabeth Sullivan, the Menlo Park gallery’s director, said it’s an unusual structure for an unusual situation, in which there are no artworks for sale. The money from ticket sales goes entirely toward production costs, she said. Live at Unity LA! Stu G & UnicornLife with the Bokchoy Takeover! FestivalLive at Unity LA! Stu G & UnicornLife with the Bokchoy Takeover!